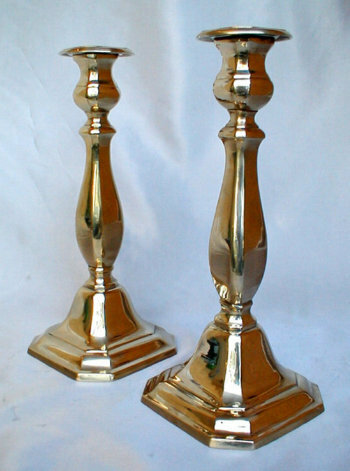 Cast yellow brass Sabbath Candlesticks, unmarked. 20th Century. Not antiques. Baluster stem rises from square base.